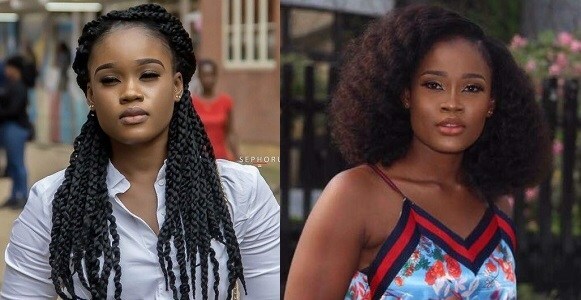 Upon her arrival at the airport in Lagos earlier tonight, 1st runner up of the Big Brother Naija reality TV show, Cee-C may have been attacked by a rowdy mob. The BBN finalists arrived earlier tonight in Lagos and the welcome they received was really off the hook, Cee-C’s case has us in thoughts, cause from videos shared, she just may have been attacked. Cee-C’s security could barely pull her away from the rowdy mob who were possibly assaulting her at the airport. It’s no doubt that the former housemate who had a lot of controversy around her while she was still in the house, might have enraged a lot of people because of her actions but did that warrant her being assaulted? As videos of her being assaulted begin making the rounds online, people are disgusted that these mobs would do such a thing all because of a game. And at the same time, people are saying she wasn’t attacked but people were trying to take photos with her and were not orderly about it. Below are some reactions below. @101naomi2: #BBNaija so I hear Ceec was attacked at the airport,biggy messed up, last season efe&bisola arrived together then marvis,tboss,debbie followed the next day, why couldn’t he do the same this time round..considering 2 camps don’t like each other..ceeC&Tobi.